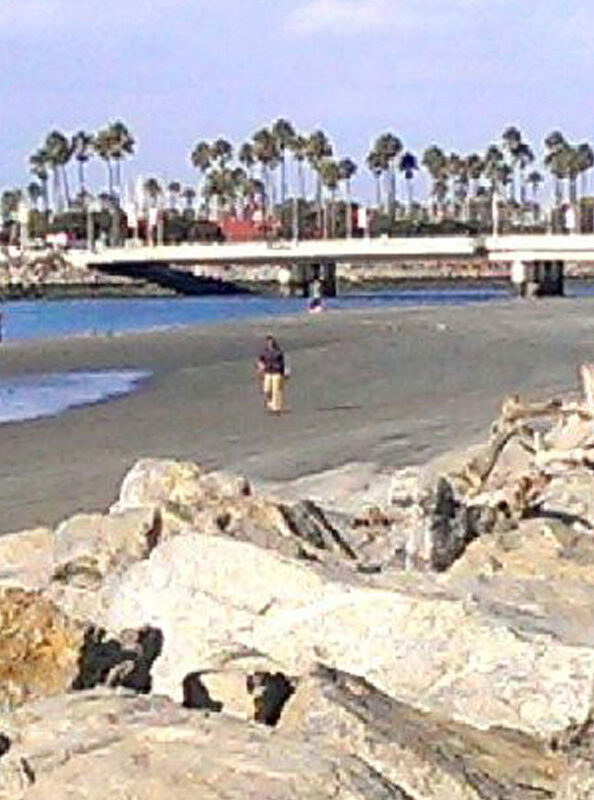 The town of Seal Beach is home to a U.S. Naval Weapons Station, but on its westernmost end you will find Seal Beach and Pier, and quaint, tree-lined Main Street, with a collection of eateries and small boutique stores. Accessibility: •Beach Wheelchair: Yes •Available on a first-come, first-served basis from the lifeguard station below the pier. •Accessible Parking: Yes •Fee lots are at beach level on both sides of the pier. Street parking is plentiful, but from there you must travel down a very steep slope to get to the beach. Free parking is available in the lot at the foot of First St. •Accessible Restroom: Yes •Below the foot of the pier at beach level, and at the First St. entrance. •Accessible Picnic Tables: Yes •A few tables are at the northern end of the beach at First St.; you must travel across firm grass to reach them.